In Fooled Again, renowned media critic Mark Crispin Miller argues that it wasn’t moral values” that swung the 2004 presidential race-it was theft. A huge array of anomalies, improper practices, and blatant violations of the law in state after state all happened to swing in the Bush ticket’s favor. 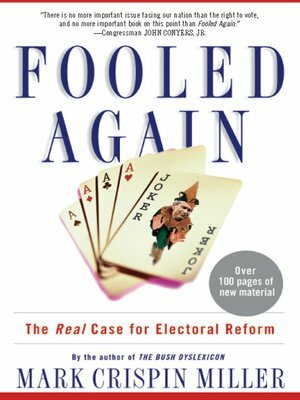 Fooled Again not only gives abundant evidence of theft, but also describes the mind-set among both the major parties and the media that could easily allow it to happen again in 2006 and 2008.